Which means, if you live in the USA, you are starting to think about Thanksgiving, and deciding whether you’re gonna make a meal or make a reservation. We’re heading east to spend the week with family, and I have no doubt my sister will come up with a fabulous menu, but I came across a couple of Thanksgiving-ish recipes that I had to try, and, well, this first one is so darned tasty, that I thought it should be offered as a (wicked simple) Thanksgiving option. Roast turkey breast, brined in spiced buttermilk. 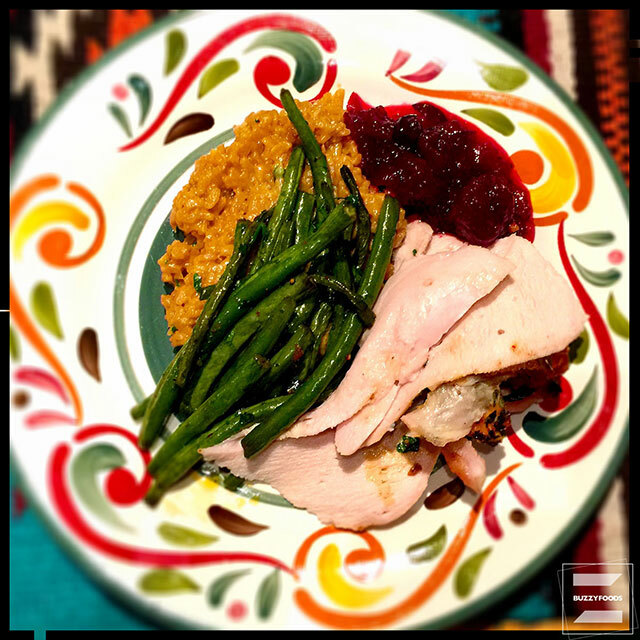 This recipe, from Guy Fieri, is so simple and so darned tasty that I’m thinkin’ mebbe Turkey should be on my menu more often than just the hoilidays. *I used my favorite: Cajun Power Spicy Garlic Pepper Sauce. 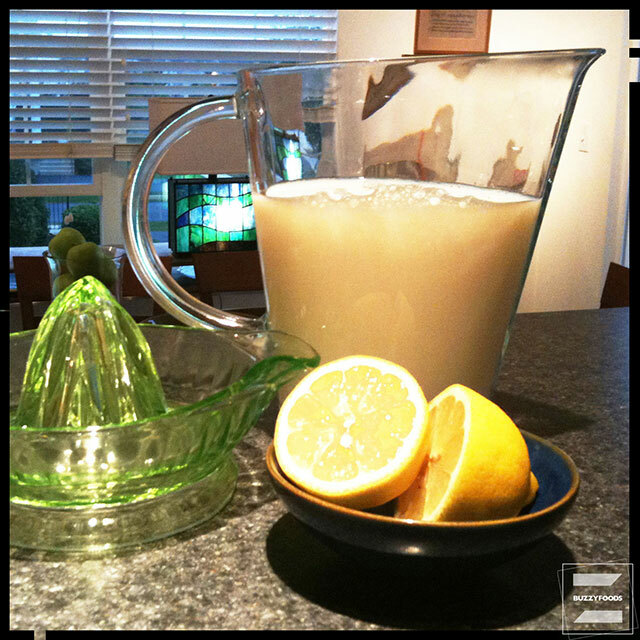 The day before you plan to serve the turkey, add the lemon juice or white vinegar to a large measuring cup, then add milk to measure three cups. Give it a stir with a whisk or a fork, and set it aside to rest for ten minutes or so while you gather the rest of your ingredients. Note: you have now made buttermilk. 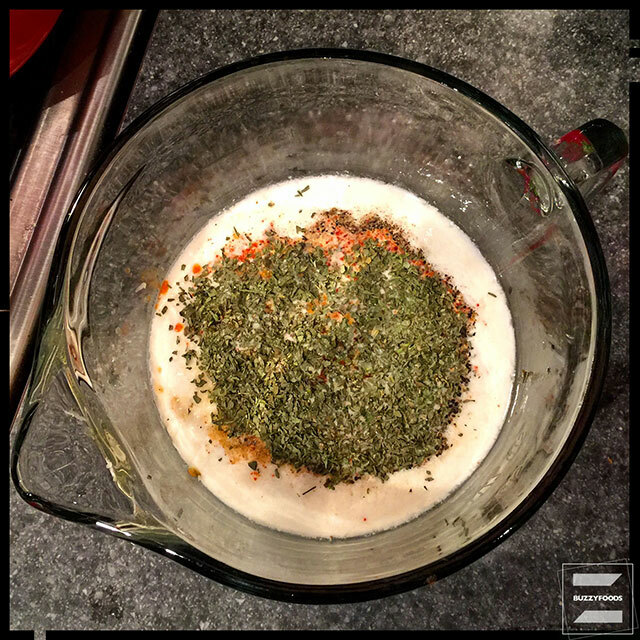 Whisk the hot sauce and other seasonings into the buttermilk, then pour over the turkey breast in a gallon-sized sipper bag. Place the bag on a flat bottomed bowl (to catch any possible leakage) and stash in the fridge overnight, giving the bag a flip and spin when you think to. 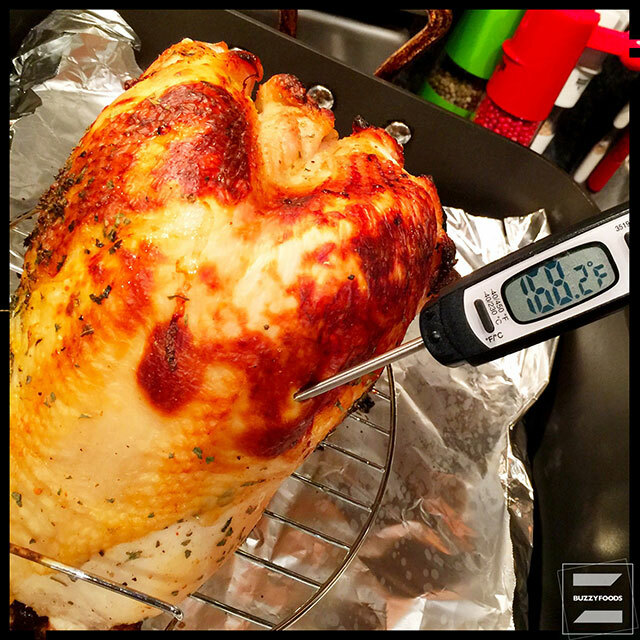 Two hours before you plan on serving your turkey, heat your oven to 325º. 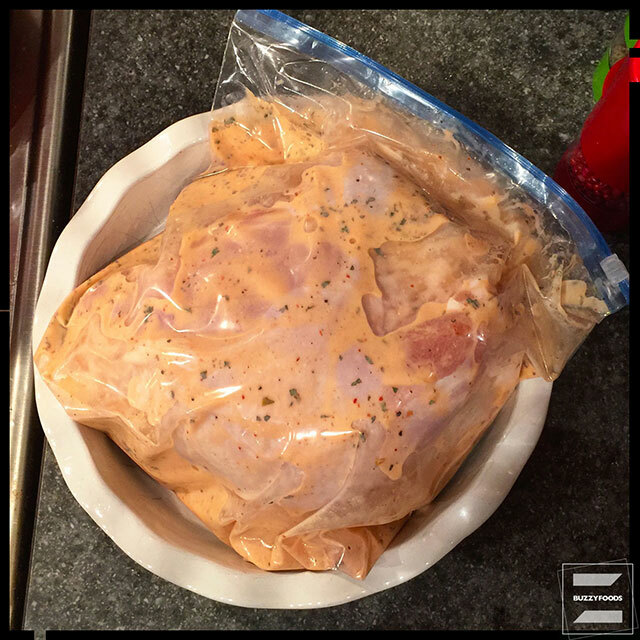 Remove the turkey breast from the brine (discard the brine) and pat dry with paper towels. 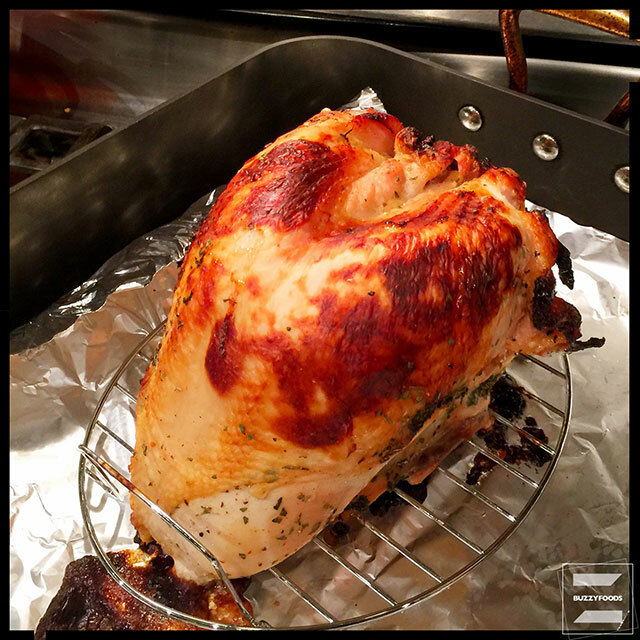 Place the turkey breast on a rack in a foil lined baking pan and pop into the oven for 75 minutes. Turn the oven up to 400º and roast for another ten to fifteen minutes, until the skin is nicely browned and the internal temperature of the turkey breast is 160º. I went with fifteen full minutes, and, as you can see, I overshot the internal temp thing a bit, but, the nice thing about brining is that my turkey breast was still wicked moist and very flavorful. 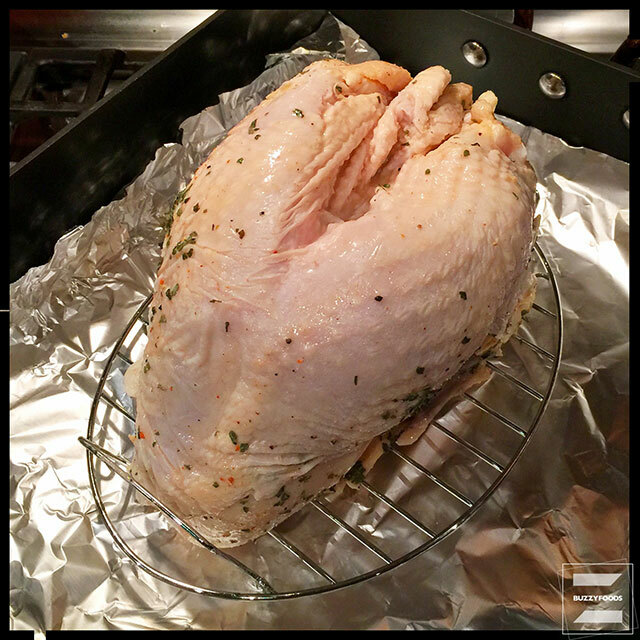 Remove from the oven, cover loosely with foil, and set aside to rest for ten minutes before carving. This entry was posted in Chicken/Turkey/Duck and tagged Brined Turkey Breast, buttermilk, Buttermilk Brine, Thanksgiving, turkey, Turkey Breast. Bookmark the permalink.